I have had a lovely week catching up with friends and doing some pretty darn nice things. It has been half term here in the UK so that means no teaching ballet for me! I did do something ballet related though and that was take a little trip down to Dartington near totnes to watch the junior associates of the Royal Ballet School take a class. It is a programme that the Royal ballet school runs for the most talented dancers in the region. They are trained the Royal Ballet way which was very informative as a teacher to watch. Unfortunately no photography was allowed but thought it was worth a mention as it’s not something I get to do very often. Saturday night was a visit to our local pub The Rusty Bike. ( www.rustybike-exeter.co.uk ) We enjoyed a lovely evening in this buzzing pub. The Rusty Bike is a great place if you fancy just a drink and a quick bite or a three course meal. I would say it’s a casual dining experience. The staff are friendly and knowledgeable especially when it comes to their ales.. They brew their own which Steve loves. There is always something new to try. 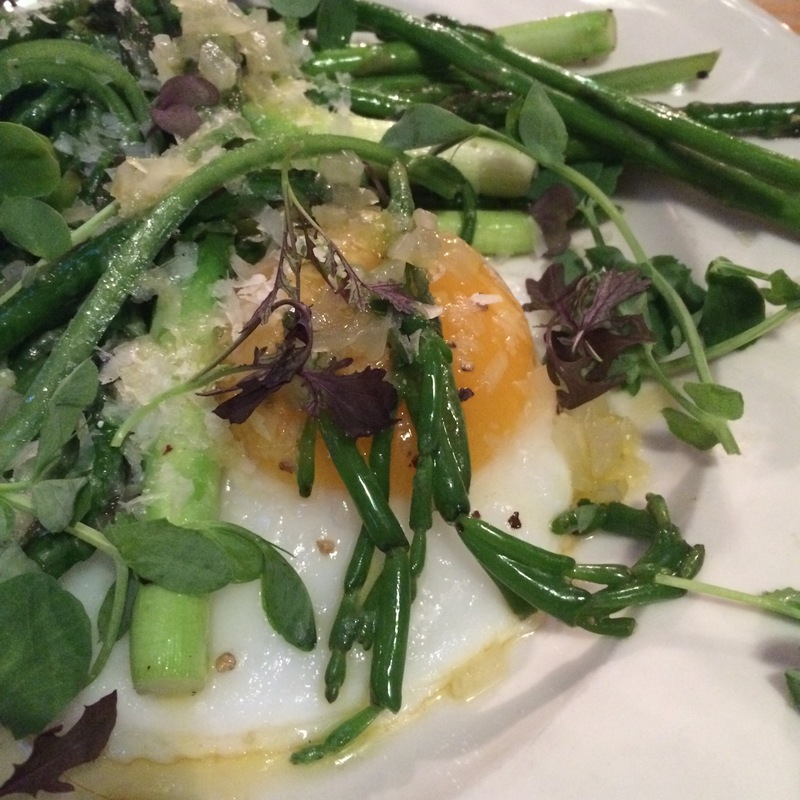 The food seems to be very seasonable which is great and they aren’t frightened to experiment! An example of this is snails… Steve had these little critters as his starter. They were delicious ( according to him.. I didn’t try! 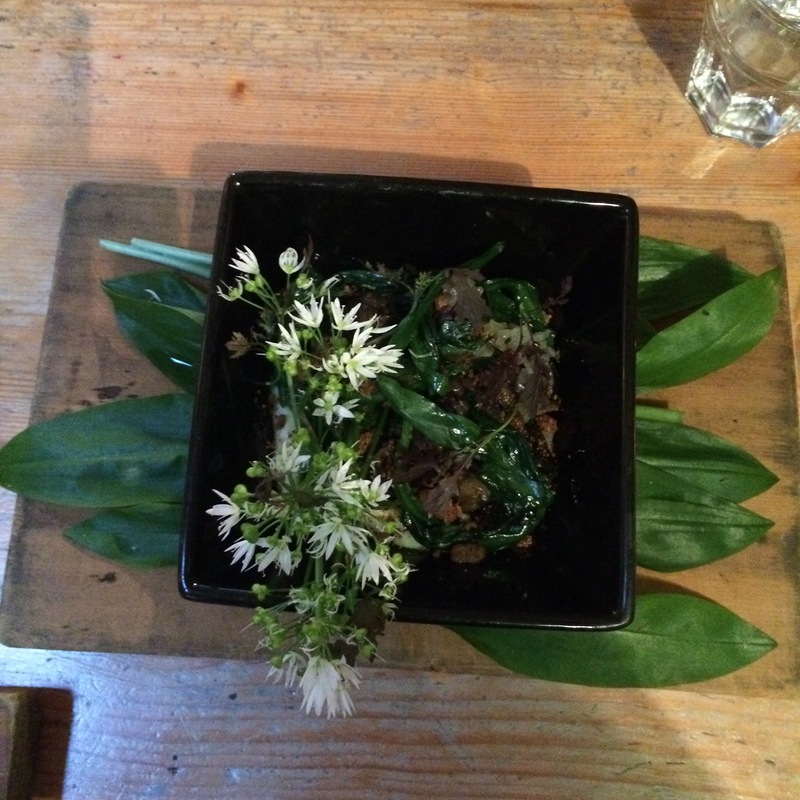 ), cooked in wild garlic. They smelt very good! 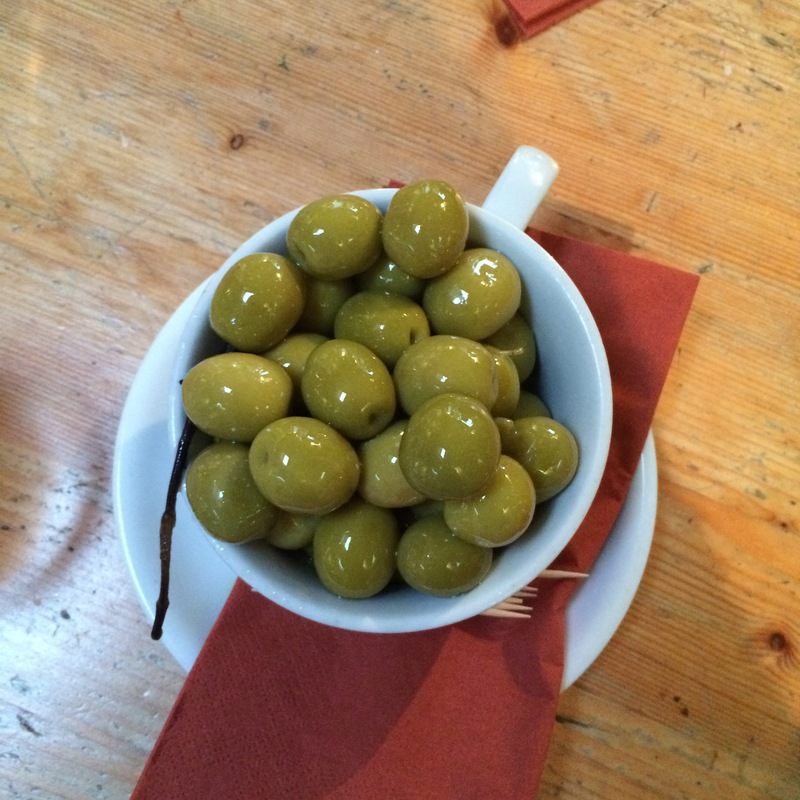 I decided on something a little safer… Olives! 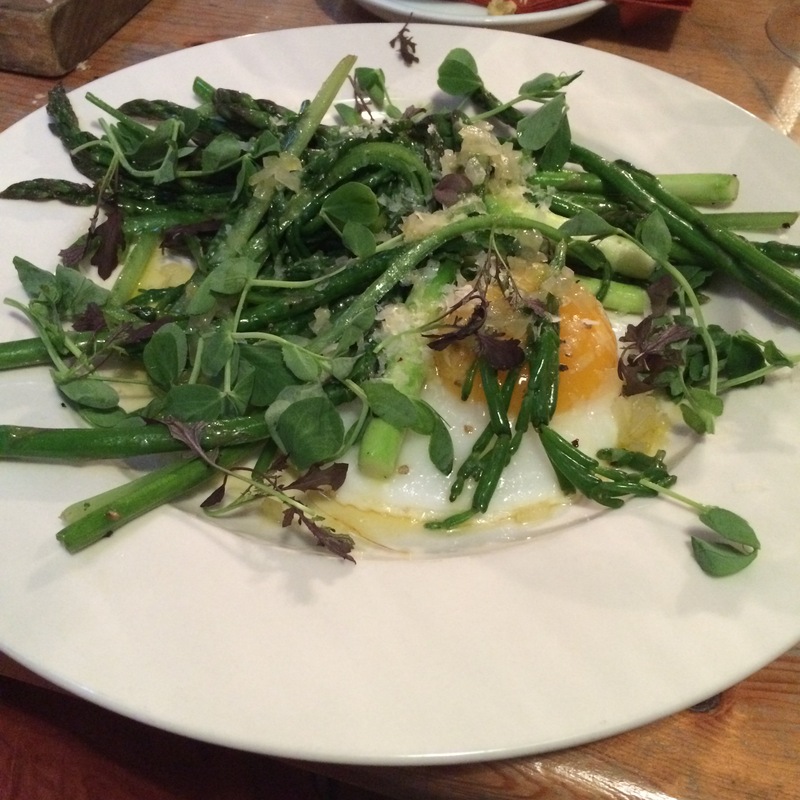 For my main course I had a wonderful seasonal dish of British asparagus, samphire, wild garlic and a duck egg.. All very tasty! Steve had pulled lamb which just melted in his mouth..
Dessert was this iced coffee.. Very much like a parfait. Beautiful! It was a lovely evening at The Rusty Bike as always. I don’t think I have ever experienced a bad one. Give it a go if you are in the area! 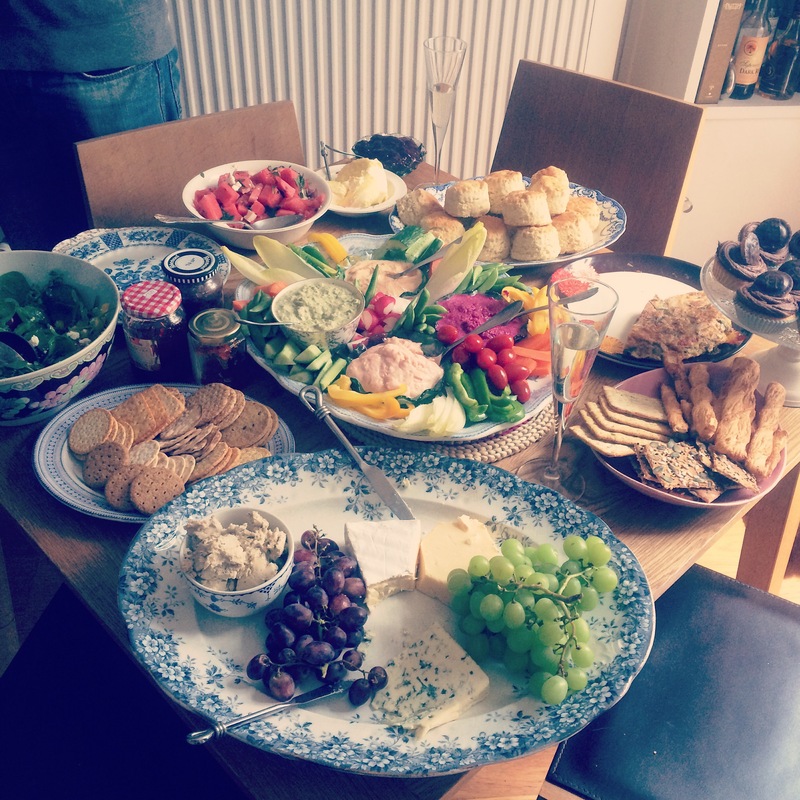 Steve and I had a friend stay at the weekend so I decided on a nice Sunday brunch for us. 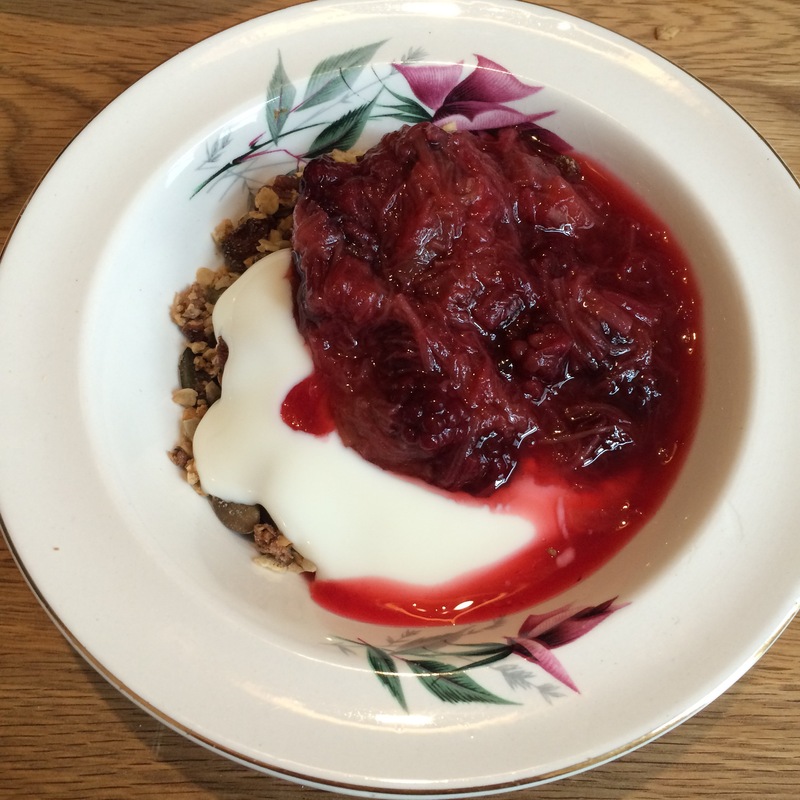 I made a rhubarb and blackberry compote to have with homemade granola and Greek yogurt. 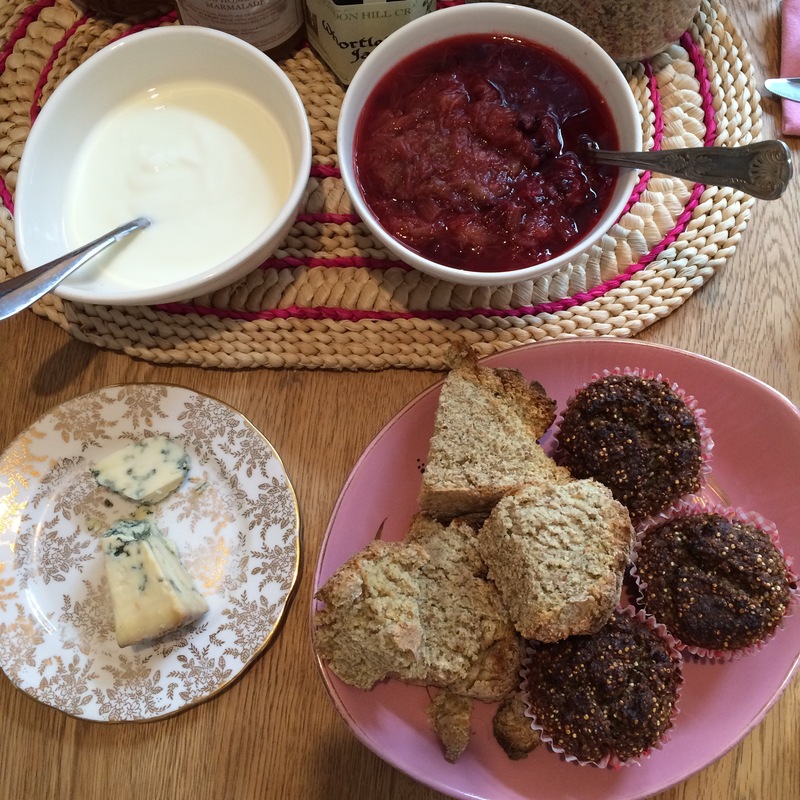 We also had some homemade baked goods.. My soda bread and some homemade Hemsley and Hemsley quinoa muffins. It was so nice to make the effort on a pretty damp Sunday morning! My birthday was a few weeks ago now but I had one last celebratory soirée planned. It was supposed to be a picnic in the park near my house with friends but as the weather has been so hit and miss recently we decided to play it safe and host it at home. I had asked everyone to do a plate of food so I guess it was a bit like an American style ‘Pot luck’ party. Everyone came up trumps as usual and we had a feast fit for kings! I had made a watermelon, feta and mint salad and had put together a cheese board. Alex did a selection of homemade dips and crudités. 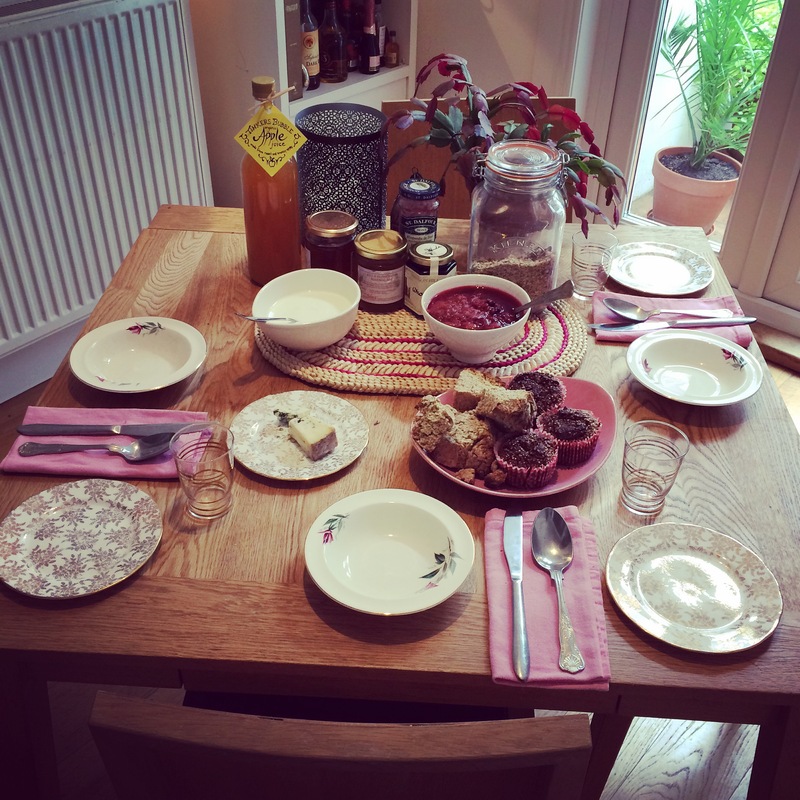 Lucy made a frittata and salad and Emma supplied the scones, jam and clotted cream for dessert! We washed it all down with a couple of glasses of prosecco.. Perfect! I have been very productive in the kitchen again. My bread recipe has been a winner and I am now on my third loaf.. Each one a little better than the last. I soon hope to experiment with nuts and fruit.. 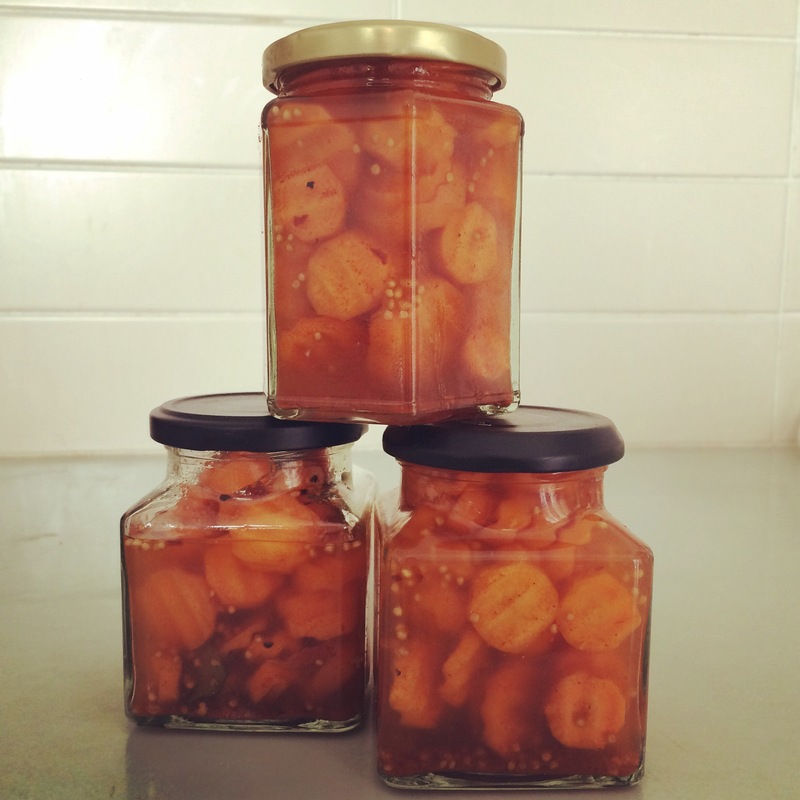 I also made the Honey and Co Moroccan carrot pickle. 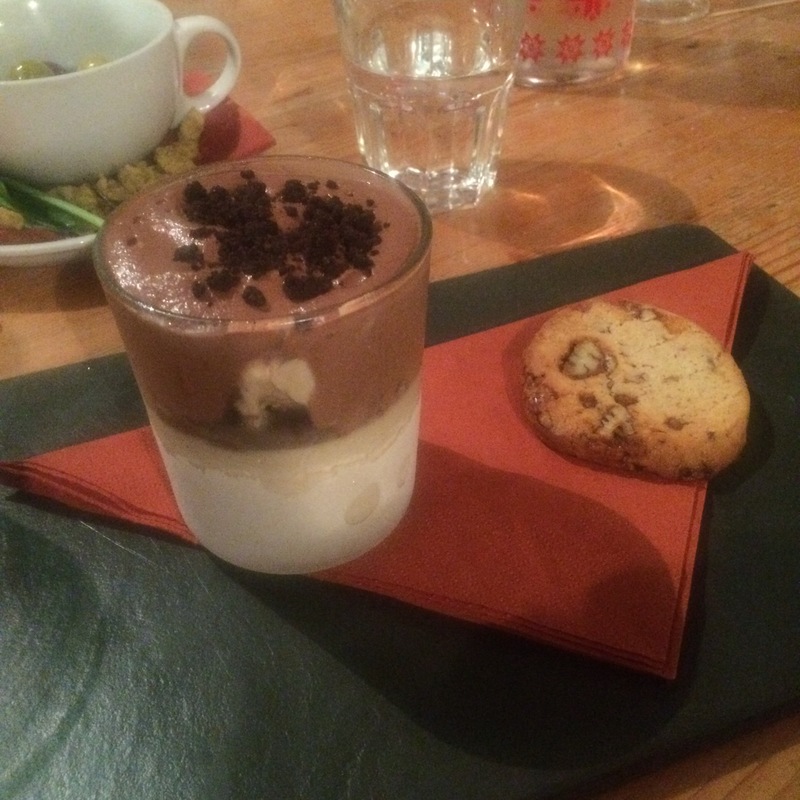 We had it last week as part of our mezze at their restaurant. 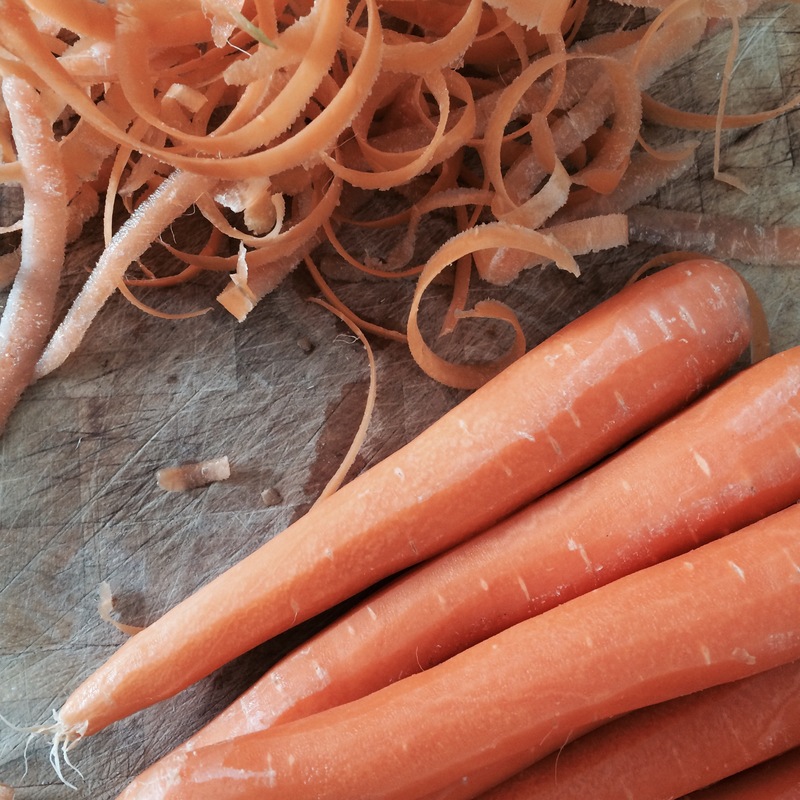 When we were there I had hoped the recipe was in the new cookbook and it was! On my day off I purchased the ingredients. The recipe was so simple and now I have three jars of wonderful pickle that will be ready in a day or two. Yummy! So excited to try it.. I hope I did a good job and have recreated what I had last week..
Now that the evenings are lighter and we are finally having some warmth we have been trying to eat outside in the courtyard. 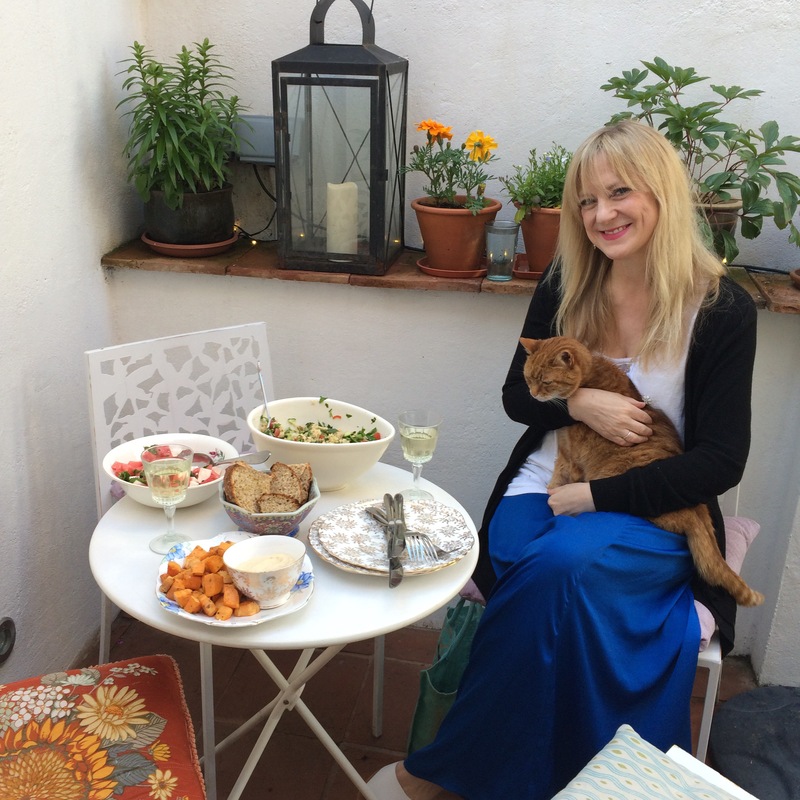 One such evening my friend Serena came over for a light supper. I had made a selection of salads for us. 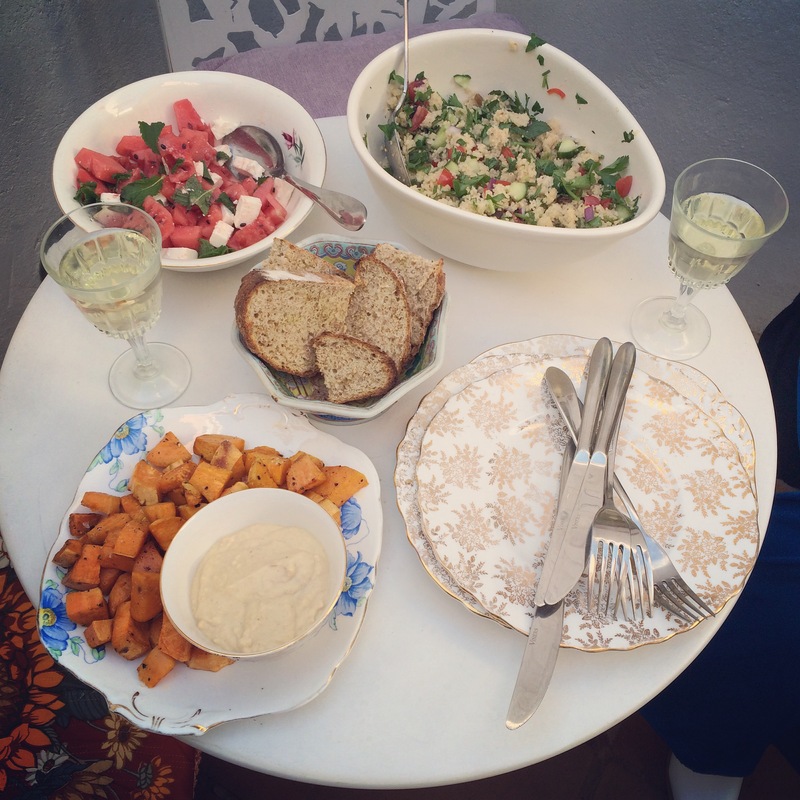 Watermelon, feta and mint, a herbed cous cous, roasted sweet potato with homemade houmous and homemade soda bread. 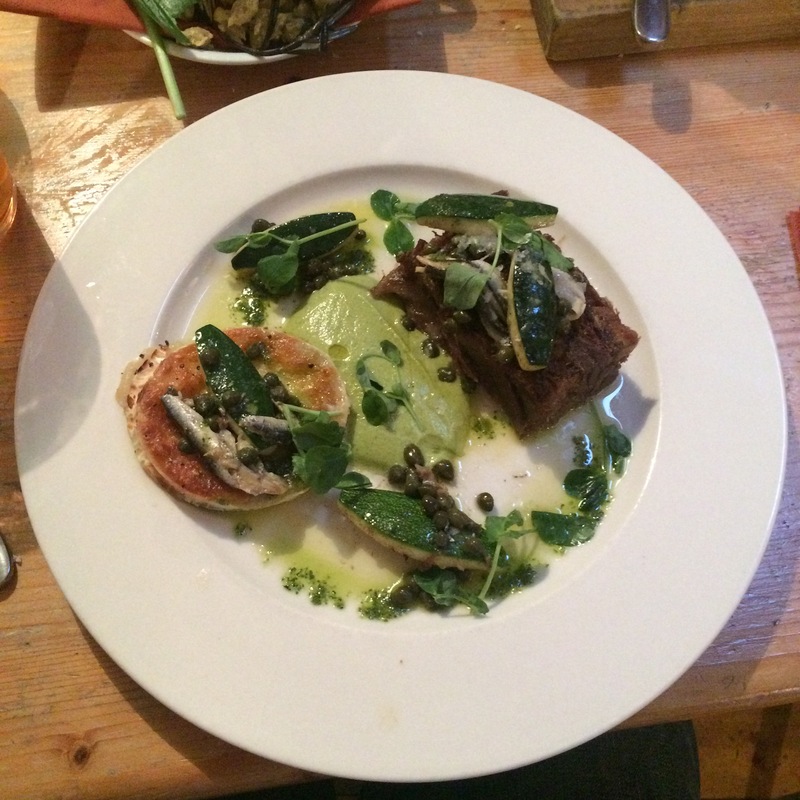 We washed it all down with a drop of Argentinian Chenin blanc. 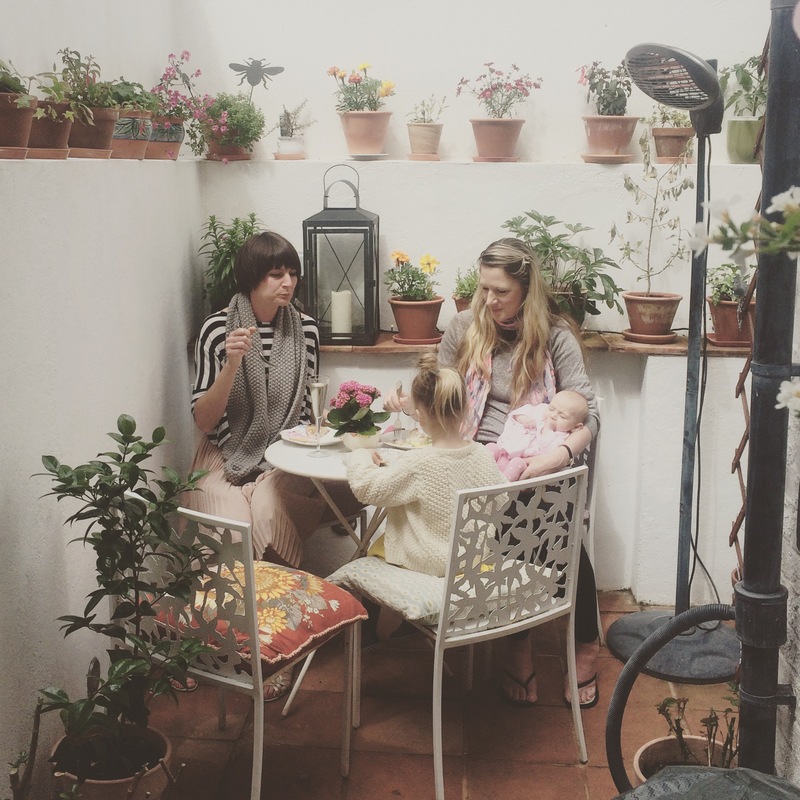 Eating outside just makes all the difference especially when you have a lovely courtyard or garden to sit in. Serena had made dessert. 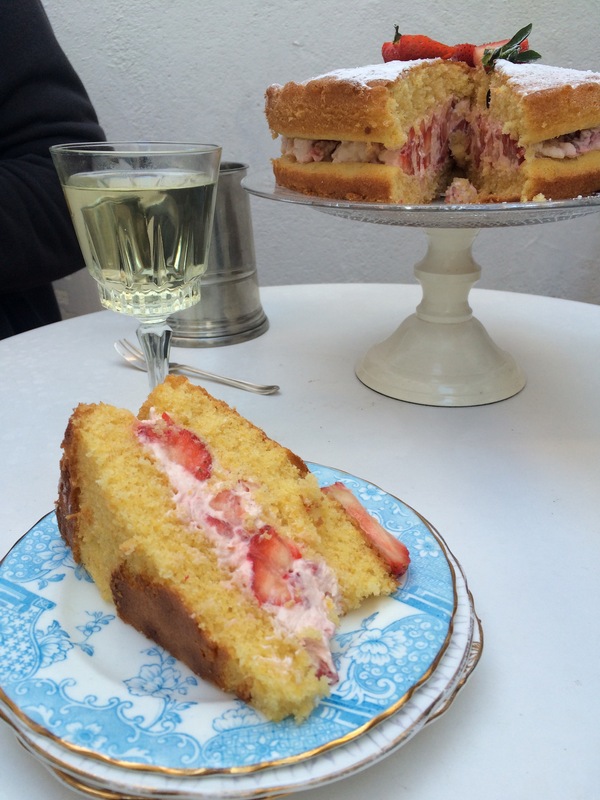 A lovely and light strawberry polenta shortcake. It was totally delicious.. So light and airy.. I had seconds!! Oops.. It had to be done! 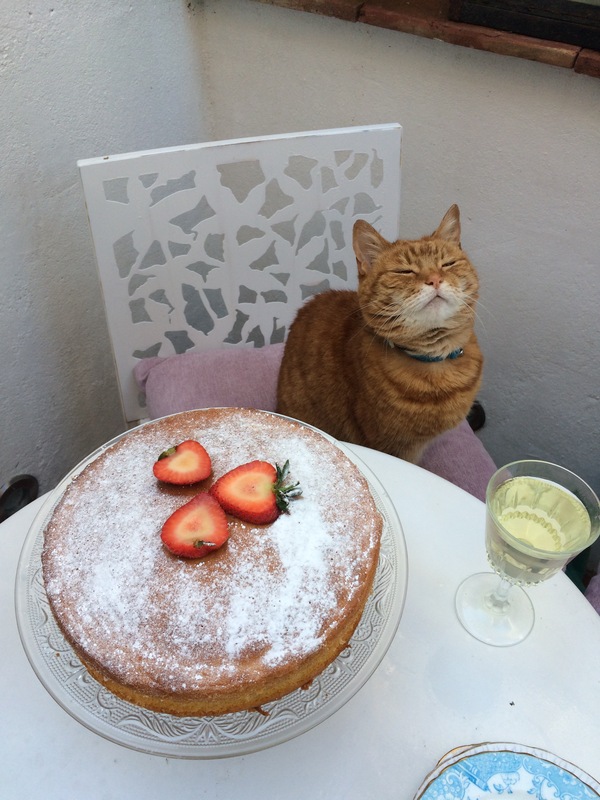 My gorgeous ginger cat Miss Marple joined us for the most part of the evening.. What a cutie. She wanted a piece of the shortcake for sure!